We have a weather station at each farm site [Note: there are four main farms, totalling 6,000 acres … – Ed] which allows us to follow weather patterns (such as ocean water temperatures, soil temperatures and moisture) to determine optimal planting and sowing times. We use only organically approved biocontrol to manage our pests. At TLF farm, we have a team of trained falcons that we use to scare away small birds that pose a threat to our crop. We only use OMRI approved fertilizers, we do not use any synthesized fertilizers, pesticides or herbicides. We employ the latest technologies in every aspect of organic farming to help optimize crop quantity and quality. Our “organic farming systems” are considered best in class and meet the highest standards by governing and regulatory bodies. We focus on providing crops with optimal phytonutrients to our ABOs. We research the crops we grow. On average we perform, 3 to 5 years of research on our crops prior to commercialization. Our crop research includes varietal, pest control, & plant density studies; fertilization programs, establishment methods, and post-harvest handling studies. We study and test each part of the plant (leaf, flower, fruit, stem, root, bark and rhizome) and identify the best source of the phytonutrient for the consumer. We harvest crops based on science-based analyses which have helped us to optimize phytonutrients in the crop. We have partnerships with Universities and World renowned companies such as NSF. Our botanicals are authenticated for botanical purity. We are very mindful of our use of water as a natural resource. Through our research of each crop we know precisely how much water to deliver and when to deliver it. We pay attention to what the soil biology is telling us and test for certain activity in the soil and water. We believe that replenishing the soil – using natural methods to control weeds, insects and predators – will produce better crops. We also use cover crops, crop rotation and other sustainable methods to encourage our nutrient rich crops to flourish, naturally. We monitor the soil nutrient level, soil moisture and temperature along with soil microbes for soil health. Organic compost is a key agricultural practice at all our farms. NUTRILITE® is the only global vitamin and mineral brand to grow, harvest and process plants on their own certified organic farms. All farms – over 6400 acres in California, Washington State, Mexico and Brazil – replenish the soil and avoid synthetic pesticides, herbicides and fertilizers. They are also global good neighbours dedicated to giving back to the community. 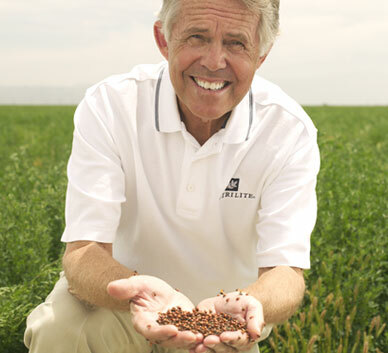 The company prides itself on controlling the quality of its products, all the way from seed to supplement. This commitment starts with making sure all phytonutrient-rich plant ingredients are as natural as possible. Questions? We love it when you call or email us with your questions! We’ll help you find what you’re looking for. You buy organic produce and shop local. And you want the best supplements for optimal health. Here is a simple set of guidlines. Want to know which company meets all these criteria and more? Check out the winner in our own personal research. This post will contain a brief description of Nutrilite’s organic farms and a video link.